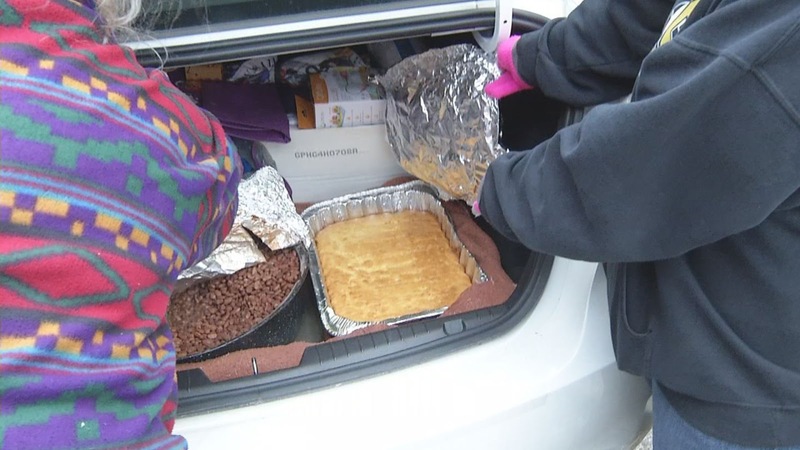 The Kansas City Health Department dumped food that was prepared for the homeless . Ilus Davis Park is one of three places where the health department stopped a group called "Free Hot Soup." The group called KCTV5 News and said health inspectors dumped out food, such as bean soup, and told them to leave the parks. For the past three years, Jennifer McCartney has wanted to pay it forward. “We got sick of looking and seeing people on the streets that were hurting,” said McCartney. She volunteers with "Free Hot Soup," an organization that brings food and clothing to Kansas City's homeless community. “We have hats and gloves because it's cold and they have no home,” explained McCartney. Some homeless depend on these meals. “It lifts you up and makes you feel like you can make it,” proclaimed Paul Spicer, a “Free Hot Soup” recipient. McCartney was shocked when police and health inspectors showed up at Ilus Davis Park where the volunteers were serving a meal. “There were so many people waiting in line,” voiced McCartney. A health department official told KCTV5 the group was serving improperly prepared food without a permit. They shut down three locations where McCartney and other volunteers were working. “They told us we could throw away the meals or they would do it,” pronounced McCartney. "Not preparing food carefully puts everyone at risk. The homeless in some cases have even more challenge. Their ability to fight off an infection may be even less," said the Health Department. Monday, "Free Hot Soup" questioned what's the difference between what they do at a park and a birthday party or barbecue. The permit that is required is free for these types of organizations. We have received a number of questions regarding the incident involving City of Kansas City, Mo., Health Department and Free Hot Soup. While the group’s good intentions are appreciated, any organization distributing food to the public MUST abide by health standards and guidelines that are in place to protect the public from foodborne illness. Those rules do not change whether someone is experiencing homelessness, or attending a charity cook-off. Many organizations in our community abide by these standards, and we thank them for their work.